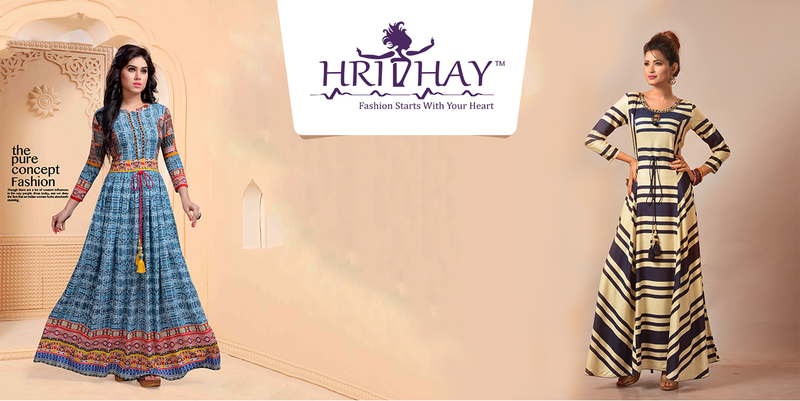 Hridhay™ grew up from an idea that was born of the strong desire to provide designer kurti at an affordable price, giving highest attention to quality. ‘Arham Creation’ is our parent body, this is where we began our journey into the world for women’s ethnic wear. With this idea of re-creating the fashion industry, the idea Hridhay™ was born. Thus we started building our brand, now with the sails ready, we are ready to go far and beyond to expand our reach. Everyone involved in this endeavour contributes from their heart and soul to bring out only the best product. Our collection reflects the aesthetics of the creator and his vision of the brand he wishes to build. To be the most valued & respected fashion brand nationwide, that provided value for money to its customer by delivering only the best products. We at Hridhay™ strive for craft, design, trendy and comfortable fashion wear, its sole motive is to enhance the beauty of women.